China has long held that Taiwan is the most sensitive issue in the U.S.-China relationship, but in recent years, Taiwan has been overshadowed by tensions over maritime disputes and China's building and militarization of artificial islands in the South China Sea. Since the Dec. 2 phone call between President-elect Donald Trump and Taiwan President Tsai Ing-wen, however, Taiwan is once again rising to the top of the agenda in U.S.-China relations. In recent days, China has stepped up its warnings over Trump's approach to Taiwan, particularly his Fox News comments on Dec. 11 suggesting that Washington's long-standing “One-China” policy could be abandoned unless Beijing is willing to treat it as part of a broader deal that includes other issues such as trade. 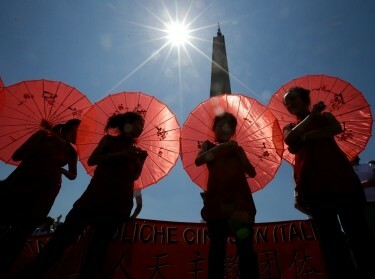 Chinese government officials and official media outlets have warned that the One-China policy is non-negotiable. They have emphasized that Beijing sees it as the political foundation of the U.S.-China relationship and a prerequisite for cooperation on issues of common concern. 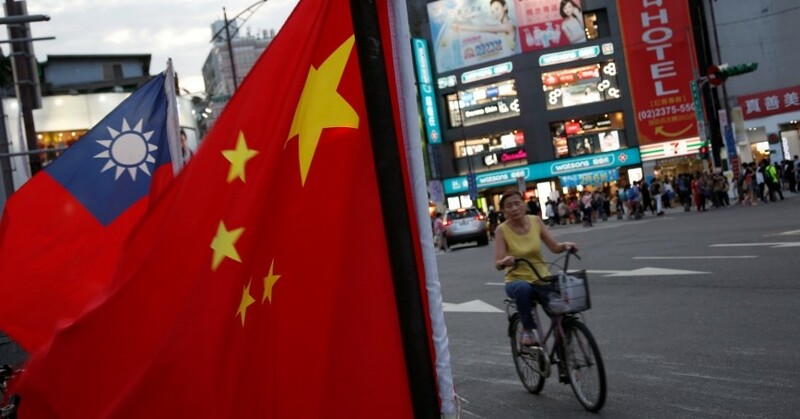 China's official response has also underscored Taiwan's status as a “core interest”—a formulation that reflects its importance not only strategically but also in terms of Chinese nationalism and domestic politics. Beijing has also highlighted that it sees the One-China policy as fundamental to the maintenance of a peaceful and stable cross-Strait relationship. These statements, along with the appearance in official media of phrases China historically uses as warnings, such as an admonishment in China's official military newspaper that any violation of “One-China” is nothing short of “playing with fire,” highlight China's determination to protect its bottom line—including by use of force if necessary. China has a number of options to express its displeasure to the incoming administration. For example, Beijing could withdraw its ambassador from the United States as it did to protest then-Taiwan President Lee Teng-hui's visit to the United States in 1995. China could curtail cooperation with Washington on other issues, such as North Korea or Iran. Beijing could become more aggressive against U.S. assets in the South China Sea, which it may already have done with its seizure on Dec. 15 of an unmanned undersea glider the U.S. Navy was operating about 50 nautical miles off of the Philippines. If Beijing sees the new administration's approach as sufficiently provocative, it could even break off diplomatic relations, as at least one Chinese scholar has suggested. Beijing has even more options and greater leverage when it comes to responding directly against Taiwan, however, which has contributed to unease among many observers in Taiwan. Even some who calculated that the congratulatory phone call was a relatively low-risk way of enhancing the island's status and bolstering its ties with the United States are concerned that Beijing could lash out at Taiwan in response to Trump's statements about the One-China policy. For example, if China seeks to undermine Tsai's domestic standing, it could continue to take steps that would embarrass her at home, such as moving to have one or more of Taiwan's 21 remaining official diplomatic allies shift recognition to Beijing. The small African island nation of Sao Tome and Principe was flipped on Dec. 20 in what some Chinese observers have suggested was a stinging rebuke for the phone call and Trump's comments on the “One-China” policy as well as punishment for Tsai's refusal to embrace Beijing's definition of the cross-Strait relationship, and more countries could follow. 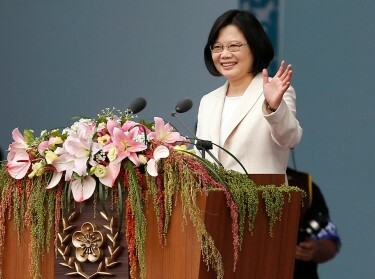 Prime targets for the future include Panama or the Vatican, both of which have been subjects of concern among observers in Taiwan since Tsai's election. China could also escalate its use of economic leverage against Taiwan, such as by further reducing the number of Chinese tourists visiting the island, a tactic China has employed in recent months to try to pressure Tsai to accept its definition of the cross-strait relationship. The remainder of this commentary is available at nationalinterest.org. Michael S. Chase is a senior political scientist at the nonprofit, nonpartisan RAND Corporation, a professor at the Pardee RAND Graduate School, and an adjunct professor in the China Studies and Strategic Studies Departments at Johns Hopkins University's School of Advanced International Studies. Derek Grossman is a senior defense analyst at RAND. This commentary originally appeared on The National Interest on December 22, 2016. Commentary gives RAND researchers a platform to convey insights based on their professional expertise and often on their peer-reviewed research and analysis.